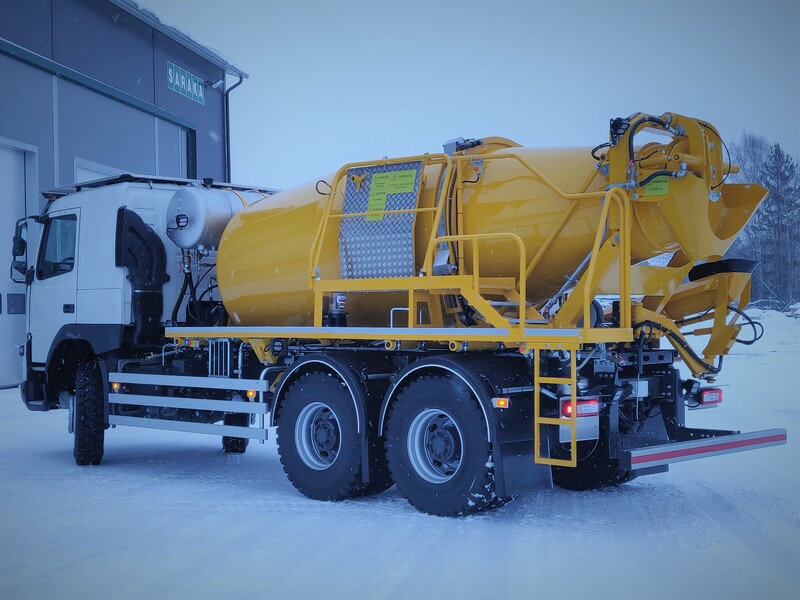 the leading manufactucer of concrete mixers and pumps in Scandinavia. All of our products are tailored and customized to meet customer needs in finishing. SARAKA has all the way from the beginning been developing working methods for the concrete branch in first hand and secondary equipment to these innovations. This gives us the leading edge on product development. With over 40 years of experience we ensure the best reliability, after sales value and low service costs for our customers. These are the key factors for profitability of investment. Linked with efficiency, green thinking has been in the core of SARAKA’s design since the 1980. The use of SARAKA products results in considerably lower fuel and energy usage through technical solutions and lighter equipment. We bring high quality in to the everyday life. When efficiency matters – choose SARAKA.